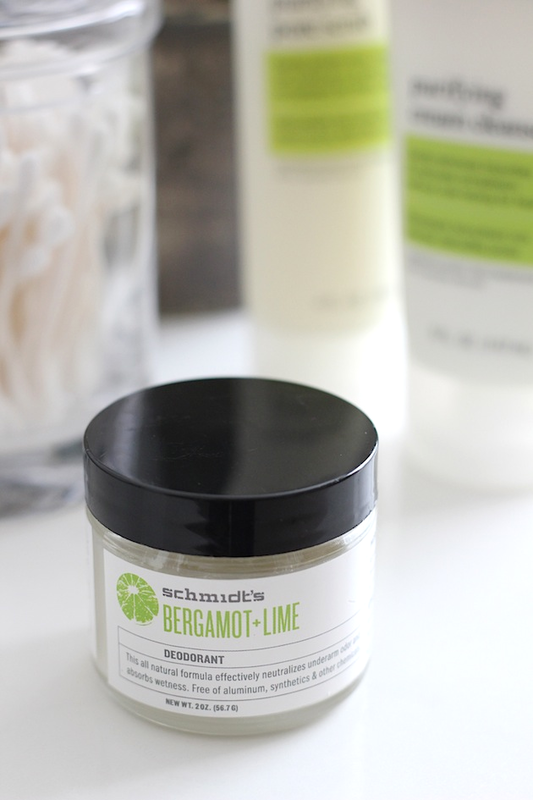 Schmidt's Natural Deodorant: I have tried TONS of different natural deodorants. I have even confessed to finding the perfect one in this post. Well it completely stopped working about a month after that post. After that I realized I needed to rethink my expectations of a natural deodorant. My regular deodorant was loaded with a super high percentage of aluminum. While it worked most of the time, it didn't work ALL the time, which I think relates more to my body than the deodorant. So why should I expect anything different from a natural deodorant?? So my new goal was to find a natural deodorant that worked the same amout of time and in the same way as my old deodorant. And I think I found one... I heard about Schmidt's deodorant while listening to The Food Heals Podcast and decided to give it a try. I have to say that it has been working quite well! It's aluminum, paraben, and phthalate free. While I still do perspire when I'm nervous or when I get super hot (as I did with my old deodorant), there is no odor at all when I do perspire. If I'm not nervous or really hot (how I am most of the time), there is no perspiration at all! It does not irritate my skin and it smells really good (Bergomot + Lime is my favorite of the scents offered). It has a thick clay-like consistency, so it's not as easy to put on as a stick deodorant, but you get the hang of it once you use it a few times. I've been using this for about two months now, so I'm crossing my fingers that it keeps working!! 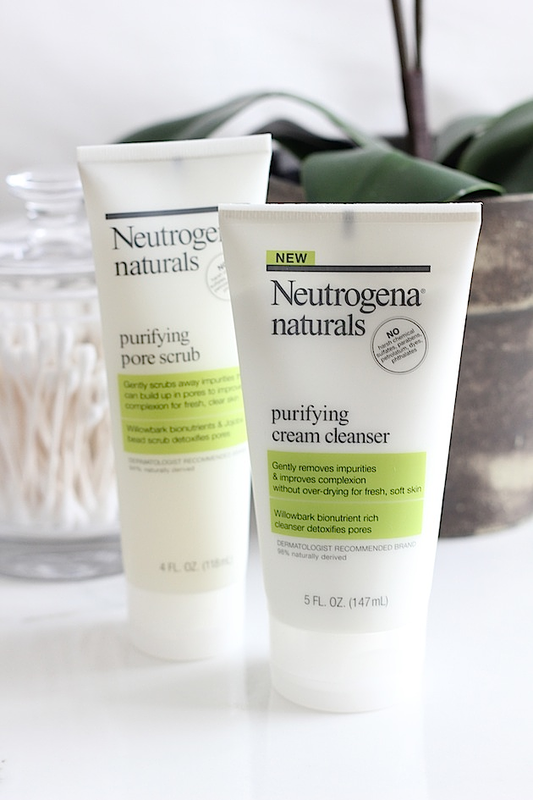 Neutrogena Naturals Purifying Cream Cleanser: I mentioned here that my face does not take too well to new products. At all. But I have really been on a mission to find a reasonably priced mostly natural facial cleanser that works and I FINALLY found one!! I have been using Neutrogena's Oil Free Cream Cleanser for the past 18 years (you read that right)! It obviously worked well, but it's full of chemicals. I tried several different types of natural products (expensive and not expensive) only to land right back at Neutrogena. They recently came out with a natural Purifying Cream cleanser that my face has actually accepted! That tube you see there in the photo is my second tube, which means things are working out! 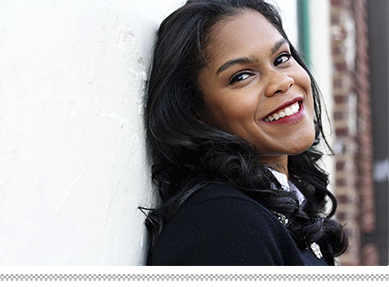 It's 98% natural and free of the really bad stuff like sulfates, parabens, petroleum, and phthalates. The cleanser has done for me exactly what it says it does on the tube. I've been using it twice a day for over a month and the uneven spots on my face (which I've always had) have disappeared. My skin feels clean, but not completely stripped after each use. I've had no breakouts and my skin also feels much softer! It works great with my Clarisonic, which I use once or twice a week. I also use the pore scrub once a week and it's super gentle just like the cleanser. They both smell great- just like the night cream that I've been using for a while. They range from $7 - $9 AND you can find both of these products at Target, most drugstores, and on Amazon! Have you tried Nature de France Le Stick? I love their deodorant and the scents!